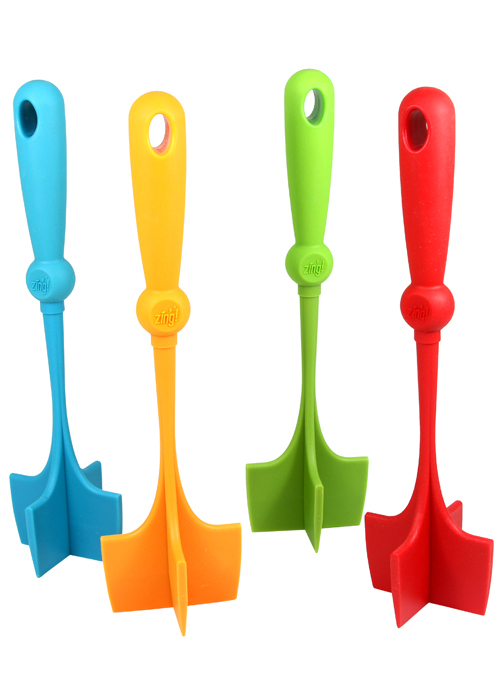 With its vibrant hues and playful design, Zing!® brightens up the personality of any kitchen environment with an extensive collection of tools and gadgets. Created by Robinson Home Products Inc., Zing!® is thoughtfully-priced for impulse purchases and is designed for home chefs who want to add some colorful “Zing!” to their food preparation. Each product has been carefully designed to guarantee ergonomic comfort and durability. The collection is packaged in eye-catching POP displays with images that prominently display product use. For complete Zing!® product listings and merchandising options, log into our customer area. Zing product line examples below. Contact your salesperson for our full catalog.